Large Handle for 8, 11, 12 HP Engines.Replaces:BRIGGS & STRATTON 490652BRIGGS & STRATTON 66728PRIME ..
Molded Starter Handle & Rope for Poulan XR Trimmers. (without knob). 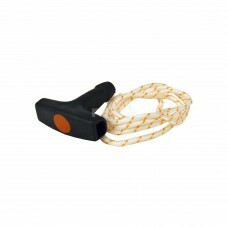 Rope Length 35".Replaces:POULA..
Molded Starter Rope & Handle for Poulan Micro 25 Saws. 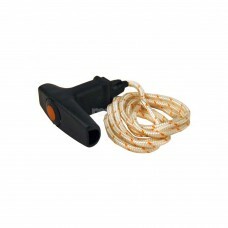 (with knob) Rope Length 21".Replaces:OREGON ..
ROPE W/HANDLE #6 X 42"
Rope & Handle.Replaces:SUNBELT B1SB1321Dimensions:LENGTH: 42"..
Stihl 1122 190 3400 Replacement Pull Start Cord with Elasto-Start Style Handle. 4.5 mm Rope. 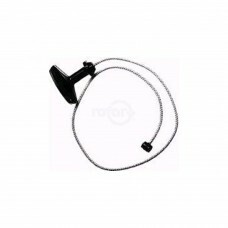 43" Lon..
Stihl 0000 190 3400 Replacement Pull Start Cord with Elasto-Start Style Handle. 3.5mm Rope. 43" long..